I love that I could use some of my patterned paper - perfect sketch for that! Be sure to stop by Freshly Made Sketches and check out the wonderful creations from the Clean Team! And I hope you join us. I'd love to see your take on Allisa's sketch! So beautiful for fall! Perfect colors and I love those leaves! what a great job on that sketch. I love fall cards. Sigh :) I love the mix of fall-inspired pattern paper and the leafy focal point! And those sequins are pretty awesome too! Love this super fun fall card! Those leaves are amazing! Love, love, love that paper! it's perfect! The sequins are fabulous! Ohhhh, I love this card! What a great collection of papers and perfectly color-coordinated leaves. Really gorgeous fall card! Lovely Fall card. Love that little stitched square! Awesome. 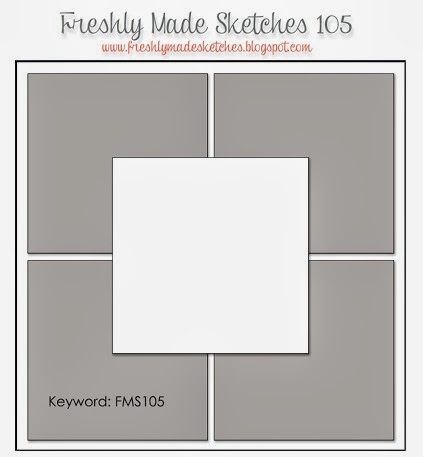 Thank yo so much for leaving a nice comment on my blog (http://www.stampinup.net/blog/2121296/entry/freshly_made_sketches_1051). I am quite new at this and it is always appreciated.